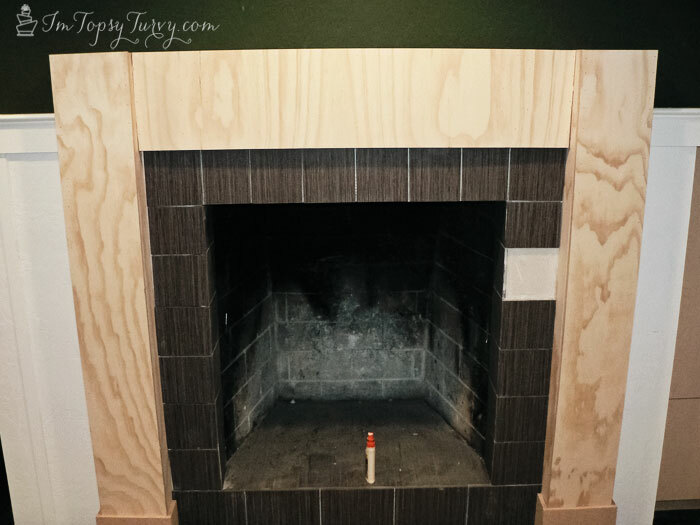 Don’t forget to link up your mantel (or faux mantel) projects to our link party. 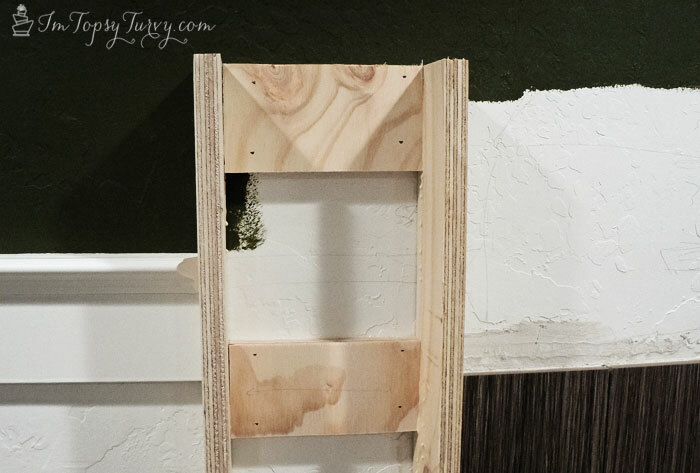 Decorating your mantel or a shelf you use for holidays and stuff, all work! I actually started this project 3 years ago! Yes 3 years! It took that long! I actually built the mantel while my husband was out of work! BUT right before I finished he got a job! Which was a GREAT thing, but all of a sudden I lost my in house help and the mantel got put aside with the day to day kid stuff. 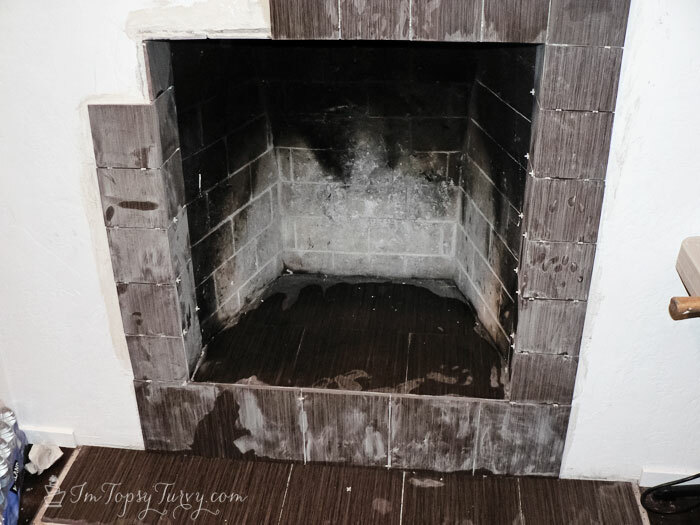 THIS is the old fireplace. Not only was it UGGGGGLY but dangerous too, tons of sharp corners and brick. So when we added the kitchen and laundry to the basement we had them take down the fireplace as well! 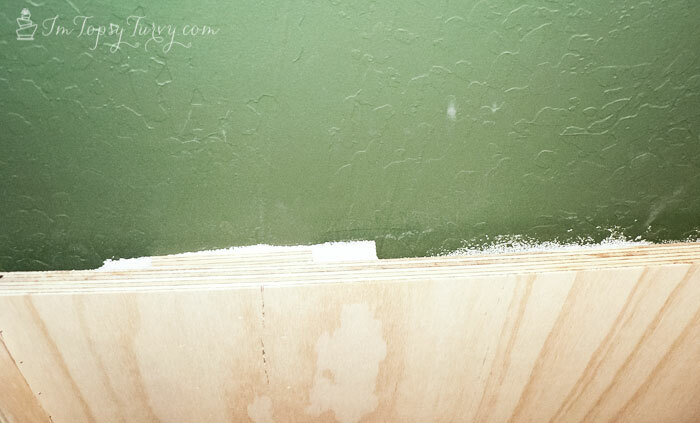 This is how it ended up after it was torn down and new drywall was put in…. my blank slate!! 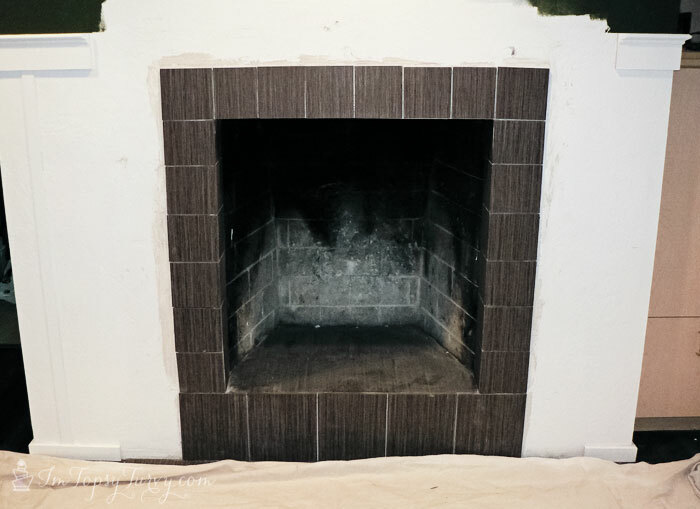 I’m not planning on ever using the fireplace for a fire, but JUST in case we wanted it to be fire safe, so we added tile on the ground in front! Since the flooring went in first I had to mark where I wanted it and they laid down the floor. I still need to add a transition piece between the flooring and tile. 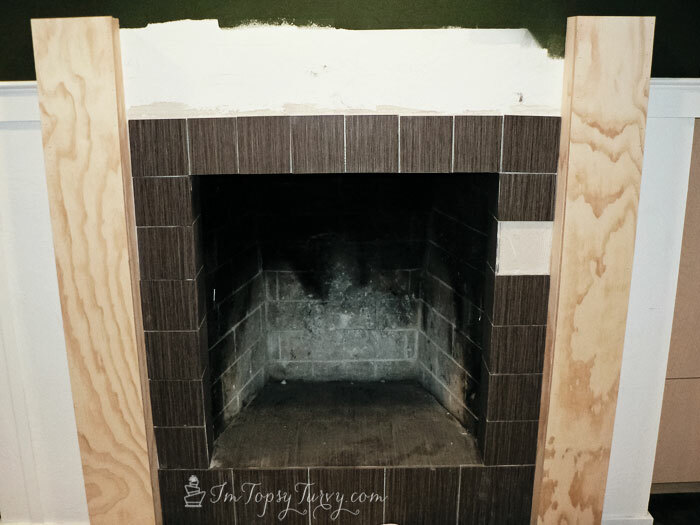 For inside the fireplace there was the original cement and then some drywall (with metal studs surrounding fireplace so it’s more fire safe) and I wanted to cover it, so I decided to add tile. 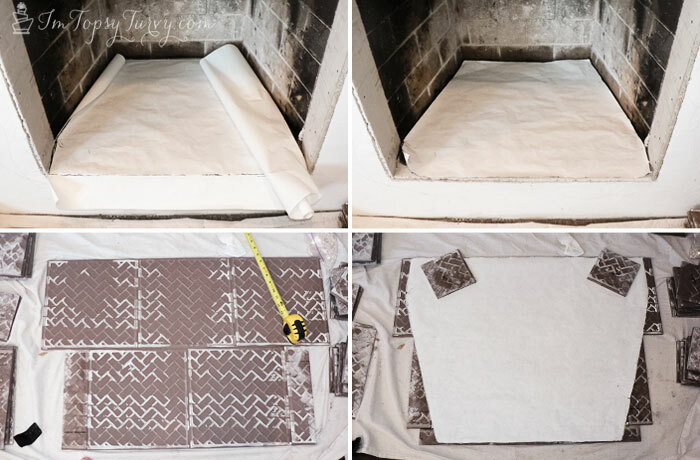 It’s a weird shape so I started by fitting some paper into the fireplace, cut it to shape and used it as a template for cutting the tile. If we ever have to use the fireplace for a fire the heat might crack the tile but for now I like the way it looks better! Here it is INSTALLED (but not cleaned) I think it turned out GREAT! 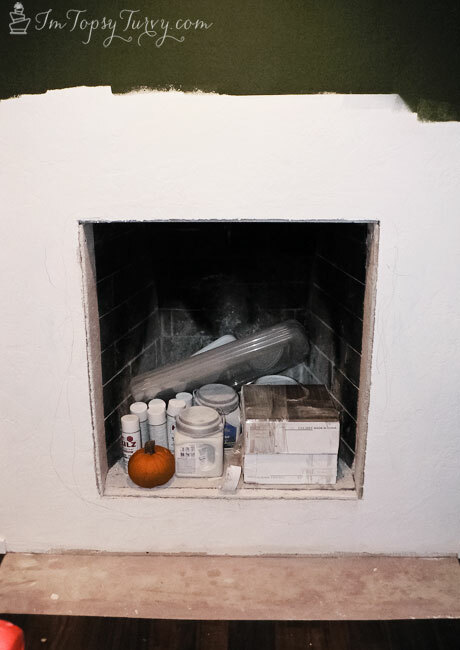 Then I worked on surrounding the fireplace with tile, first on the inside over the drywall (metal studs), then around the front. These were all 12×12 tiles that I cut down to the size I needed them. 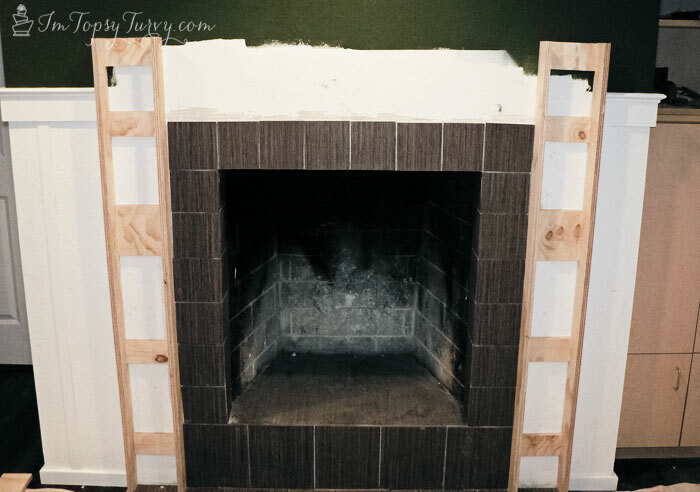 I was stuck with the inside of the fireplace where it was at, so I had to work all my measurements around it. I think it turned out really great! I was super happy with it, not perfect but good enough for the next step! 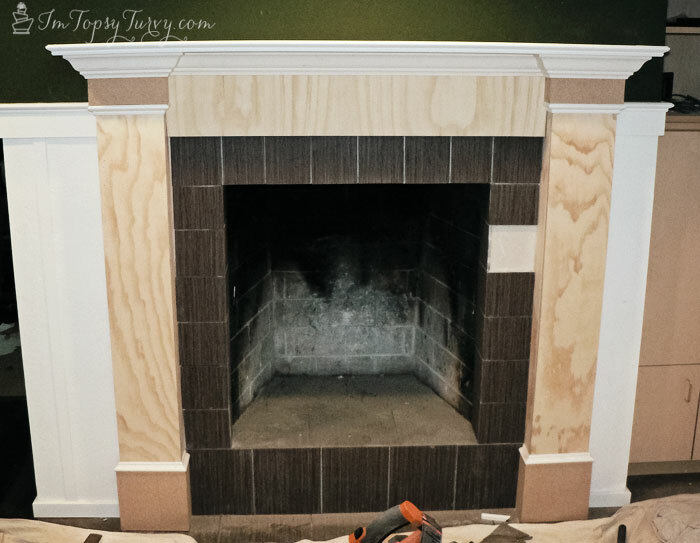 To build that columns on each side of the fireplace I started with small cut pieces right against the wall, so I’d have something to attach each of the sides to. Here are both sides ready for the front of each column. And then disaster! 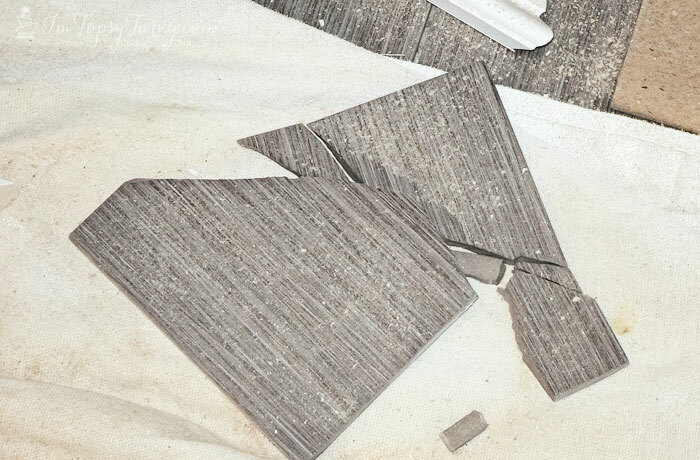 one of the tiles came off! GAH! totally my own fault, but the rest stayed on just fine! Just this one tile was my nemesis. In fact I had to go buy one more 12×12 cause I was completely out. So next (after cleaning up the broken tile- grrrr) I added the front of the columns to both sides. I wanted the front piece to stick out a bit so I added some small rectangles to the wall, then added the front panel to those to give it a more 3D shadowed effect. See? How it’s creating a shadow over the tiles? I’m really happy with that effect. Now time to add all the details! I added MDF around the bottom and top of each column, and then added trip to dress it up, and cover the rough edges. And now to add the top shelf! I know it looks bowed, this was pre DSLR with a pretty bad camera and it warped the images a bit, it really is flat! 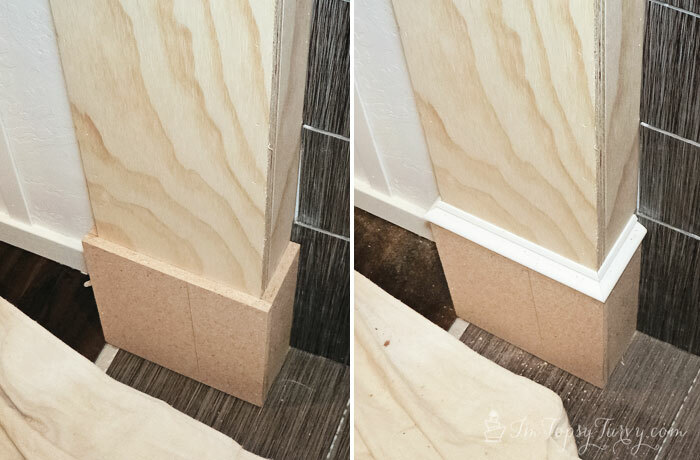 and more trim around the edges! And I’m almost done! I filled in all the nail holes and gaps and this is the state it’s been in for 3 years! 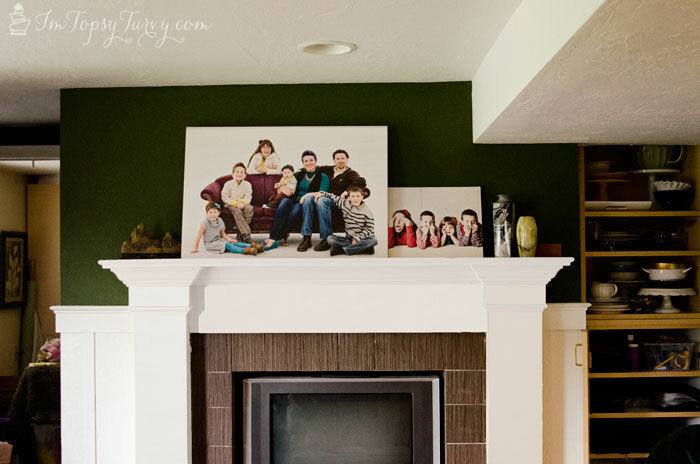 So for when “mantels” was chosen for the link party theme of the month finishing up was an easy choice! 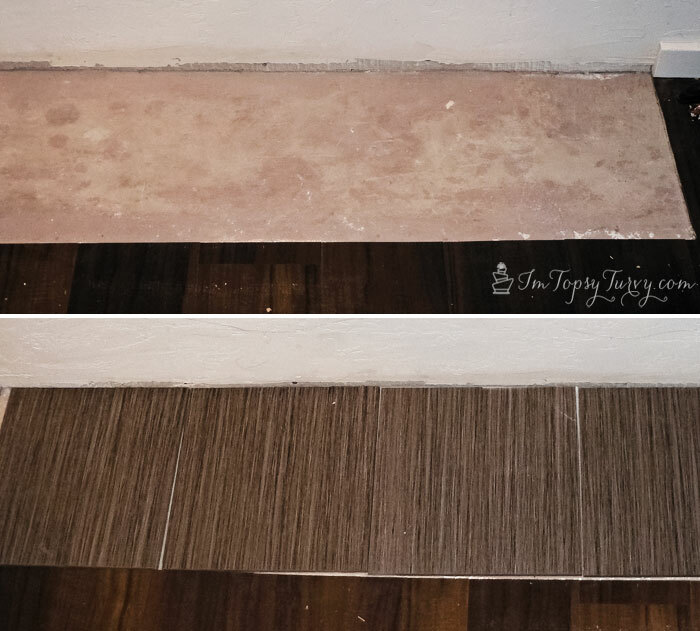 I sanded everything down, primed and painted as well as filled in the missing tile. 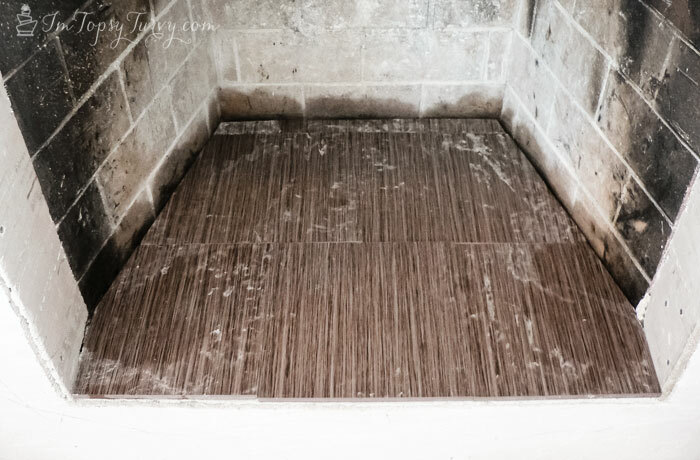 All that’s left is to grout the tile and add a transition piece between the tile and wood floor! YAY! I even decorated it a bit! YAY! Now to keep it cluttered free… Ahhh the real challenges in life! 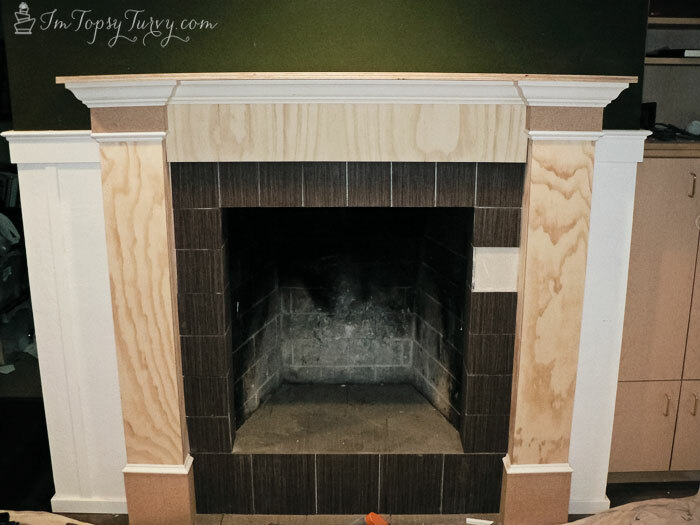 Love the mantel that you built! I wish I had a fireplace, I would totally do this 🙂 Pinned while I was here! thank you so much! I love building things, I should share them more often! I absolutely love it! I always wish I had a fire place! This is amazing. Great job, one day I will think about making over my mantle!! It was really simple too! 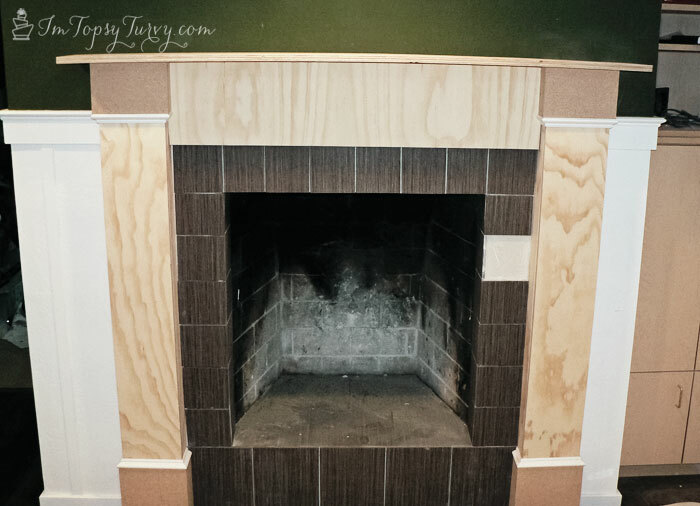 Easy to personalize for any size fireplace! Ashlee I love the fireplace/mantle. 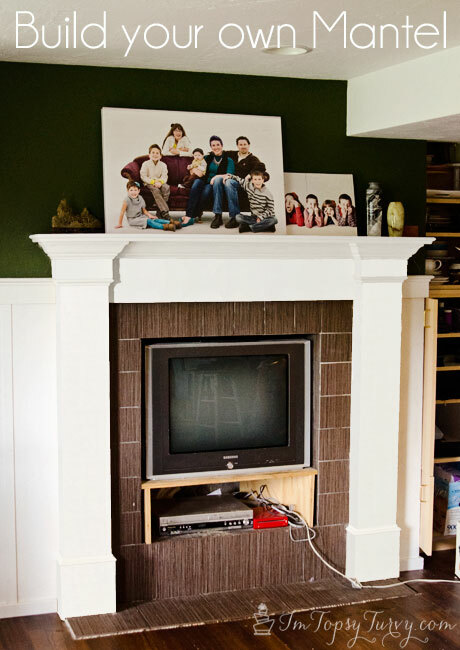 My upstairs frontroom used to have a mantle but the old homeowners drywalled and carpeted over it. 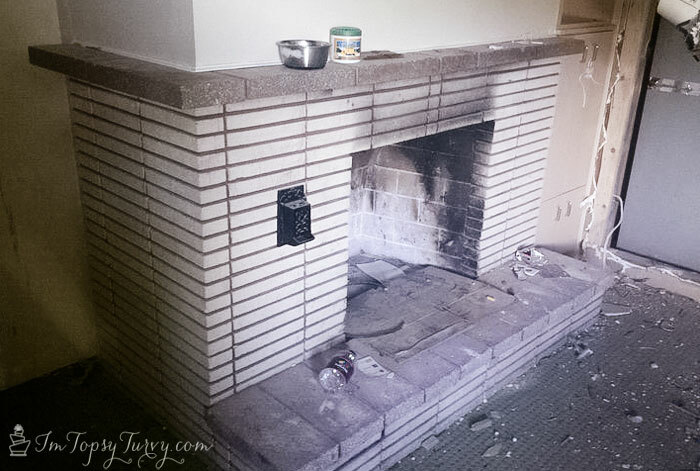 I know one day I am going to want to tear everything off and Put the fireplace/mantle back – thanks for the inspiration! that’s such a shame! I would totally put it back in!